This kid-carrier taps into Osprey’s niche of making comfortable, supportive, light, well ventilated and easy to adjust packs; and provides a safe way to carry our most precious cargo. The Poco kid-carrier includes a hydration reservoir sleeve and a removable/washable drool pad. Plus, it folds easily for storage and travel. New parents are always looking for convenience and this ergonomic baby carrier gives just that. It’s ultra-light, packs small and carries baby with ease. Ideal for traveling light…which is seemingly impossible with baby in tow. Start training your kiddo on two wheels with this single-speed attachment that secures safely behind mom or dad’s bike. Burley’s patented ball-bearing guided hitch offers superior handling, tracking and stability. The trailercycle is easily adjustable for growing children and can also be transformed into a full bicycle with Burley’s Plus TM. Available in 5, 8 and 11-foot lengths, this wide, stable and light board is a great way to get started. The length makes for responsive turning and easy wave cruising. A slight rocker allows for easy gliding on flat water. The soft traction pad creates grip when wet. 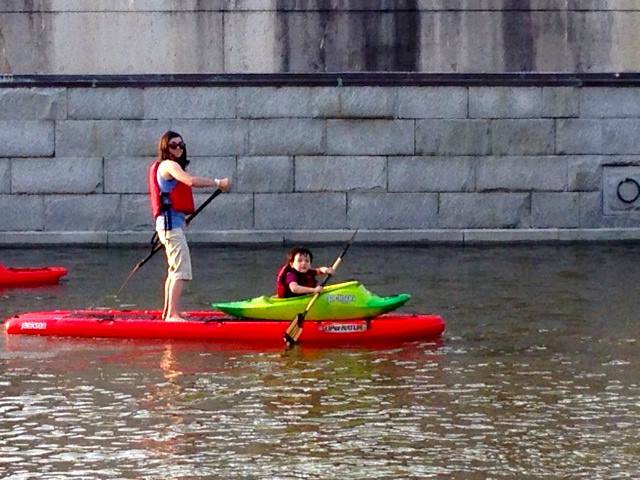 The SUP comes with a kid-sized, adjustable paddle. This dog leash has a poo bag dispenser, stash pockets, a nightlight loop and a quick-release handle. It’s also easy to clean and fast-drying…what’s not to love? Awards are determined based on needs and preference of Mountain Mama’s employees, product testers, brand ambassadors and judges. This year’s judges include Melissa from Adventure Tykes; Seth, designer of My Outdoor Alphabet; Corey and Jentri from Backcountry Parenting; Randi from UpaDowna; Haley from Climb Run Lift Mom; and Teresa from Mountain Mama. 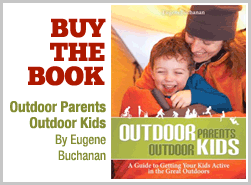 None of the products chosen above were given to Mountain Mama as a promotional effort. 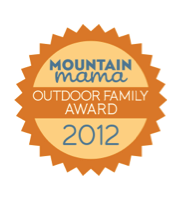 Mountain Mama is the brainchild of Teresa Delfín, an active mom and 18-year veteran of the outdoor industry with a Ph.D. from Stanford. She has trekked the Inca Trail twice, climbed 19,000-foot mountains and won the Panamanian National Bouldering Competition. The company is located in the foothills of southern California’s San Gabriel Mountains, where it designs, produces and manufactures the majority of its products within a 20-mile radius. Mountain Mama produces comfortable performance apparel for swimming, hiking, climbing, kayaking, snowshoeing, yoga and more – all designed to accommodate pregnancy and beyond.